“Ewha-Luce International Seminar 2018: Expanding Horizons” held in Ewha Womans University on June 26 (Tue) was successfully finished its 18 day-journey on July 13 (Fri). In this seminar co-held by Ewha Womans University and the Henry Luce Foundation of the U.S., female graduate students who major in science, technology, engineering, and mathematics fields (STEM) at universities in South Korea, the U.S., India, China, and the Philippines participated in research exchanges and discussions. Renowned figures held lectures in this seminar. 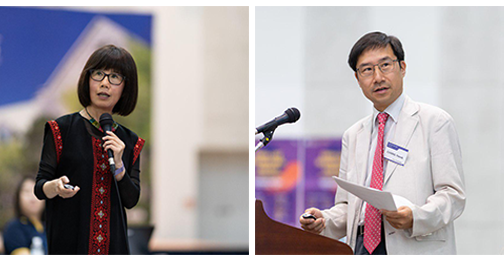 In the keynote speech session held at the Lee Sam-bong Hall of the ECC building on June 28 (Thu), Chang Pilwha, an emeritus professor of Department of Women’s Studies at Ewha delivered her message titled “Rethinking Women Leadership”, and Anna-Katrina Shedletsky, a former Apple engineer, CEO of Instrumental Inc., and a founder of Women in STEM Mentorship Program, addressed her speech titled “Building a Network of Allies, Mentors, and Advisors”. In addition, Kim Young-Kee, a distinguished professor at the University of Chicago of the U.S. delivered her lectures titled “My Way to Become a Scientist” on July 3 (Tue) and “An Atom as an Onion” on July 10 (Tue). Chang Hasok, a distinguished professor at the University of Cambridge of Britain, gave a public lecture under the theme of “Humanism and Science” on July 11 (Wed). Besides, on July 3 (Tue) to 4 (Wed) open forums were held with diverse subjects of ▲ Women in History of Science ▲ Emerging Issues in Science ▲ Social Responsibility and Science ▲ Science Unlocking Future. 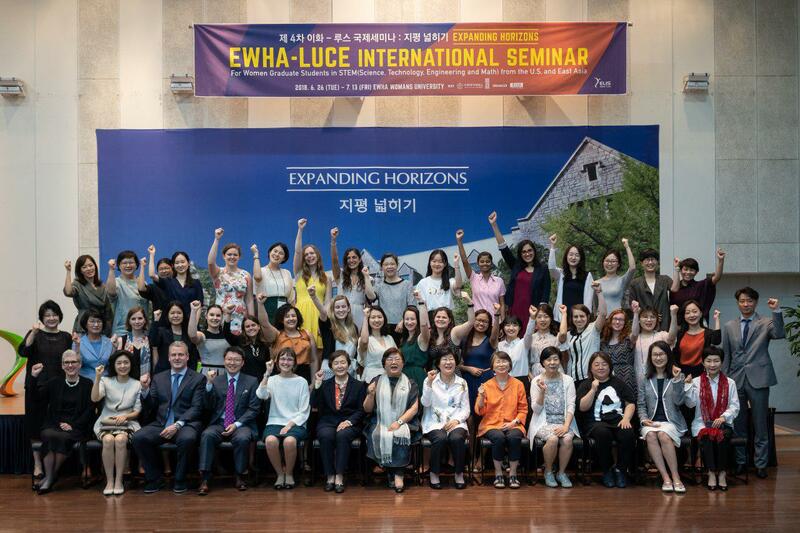 On July 12 (Thu), Michael Gilligan, President of the Henry Luce Foundation, officially announced in the graduation ceremony that the foundation will give an additional grant of $750,000 for two years, saying that he highly evaluates Ewha’s unwavering dedication to women’s ability development and empowerment, academic excellence and contribution to the international partnership. The Henry Luce Foundation is a non-profit organization founded in 1936 by Henry R. Luce, a co-founder of Time and Life, American magazines, and has chosen Ewha Womans University as its first Asian partner institute and has funded $1,655,000 for the past four years in a leadership development program for U.S. and Asian women in STEM.